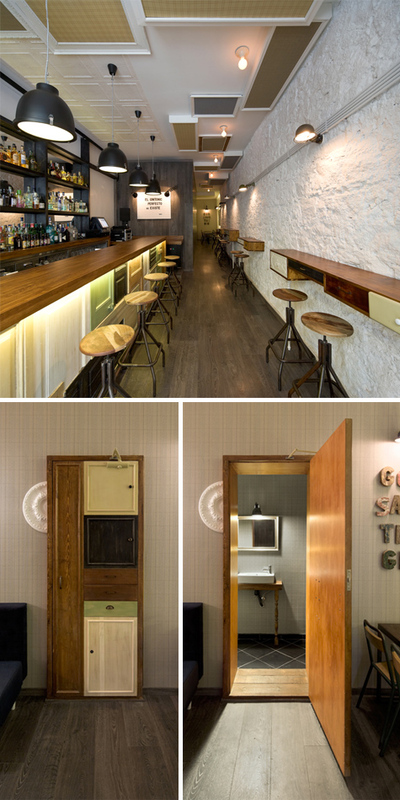 A limited budget led Normal Studio to reuse old doors, panels and drawers in the design of Bobby Gin cocktail bar. A "wardrobe" of collaged cabinets doors and drawers disguises the entrance to the bathroom. 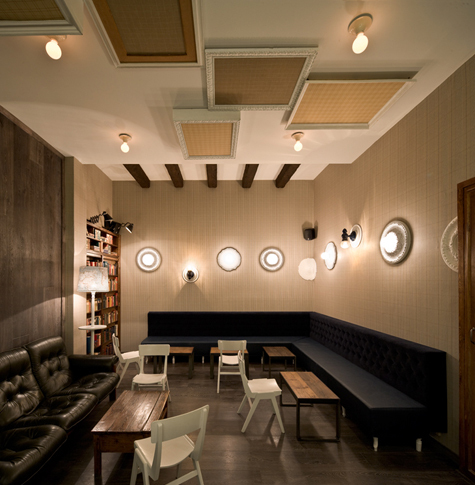 Frames and medallions are also used as interior elements. Nice!